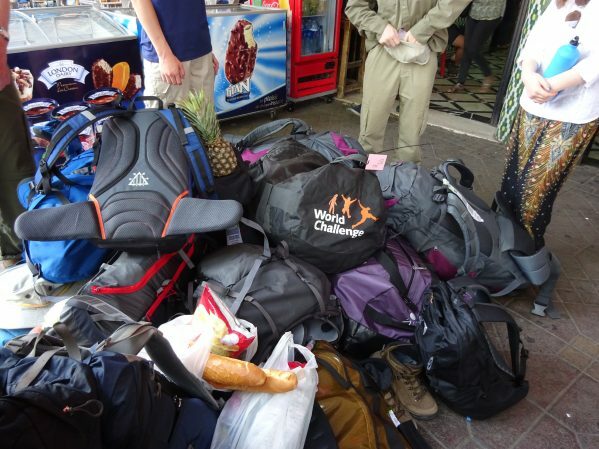 Why is there a pineapple on top of the pile of Trinity School rucksacks? A pile of packs and a pineapple! Take your rucksacks from under my pineapple! Love the snazzy legwear on the right.